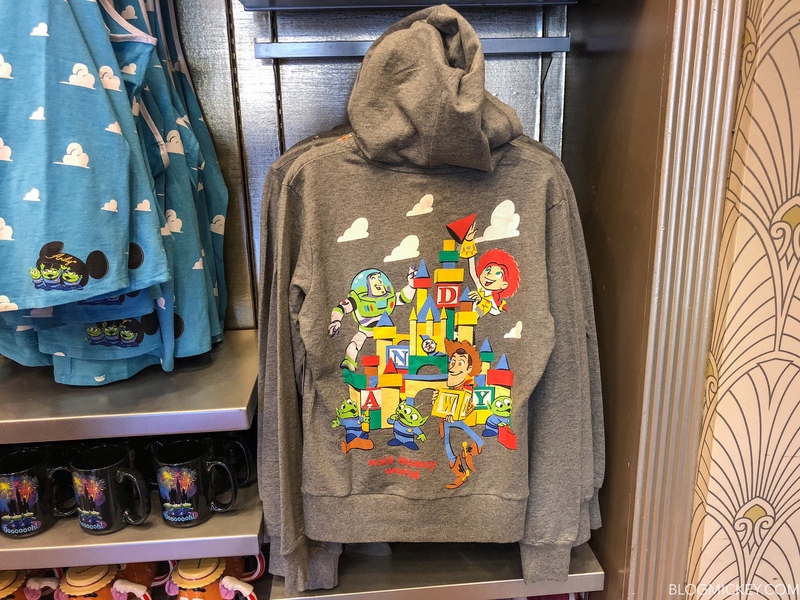 Some brand new Toy Story merchandise is now available at Disney’s Hollywood Studios. 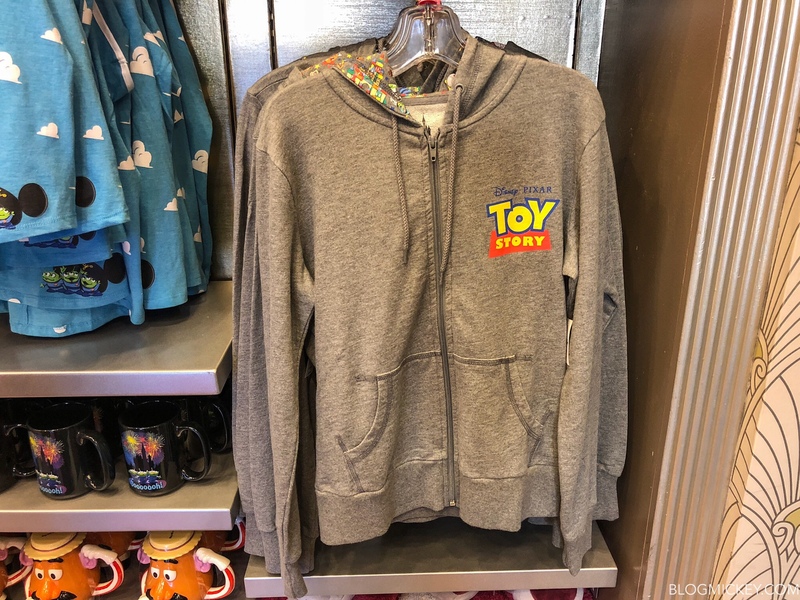 We spotted a new hoodie and tank top at Reel Vogue on Sunset Blvd. 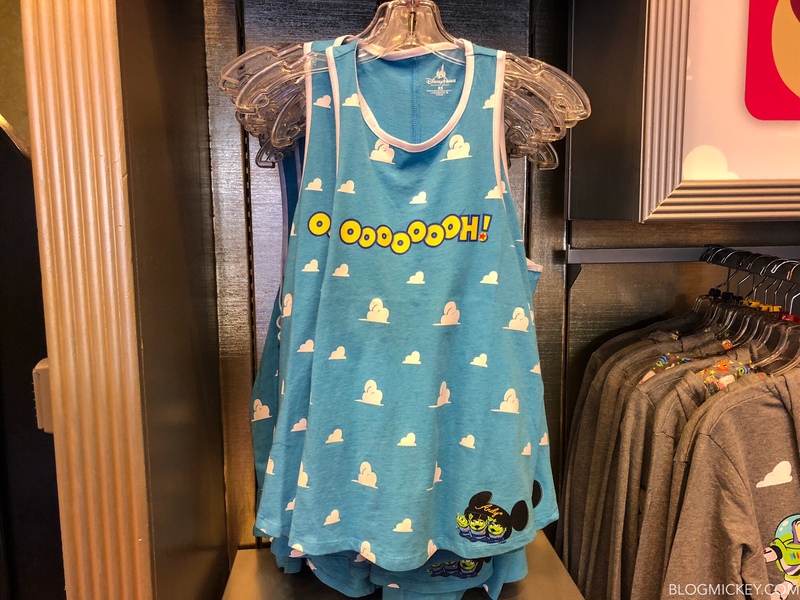 First up is this tank top featuring the iconic cloud backdrop to Toy Story. 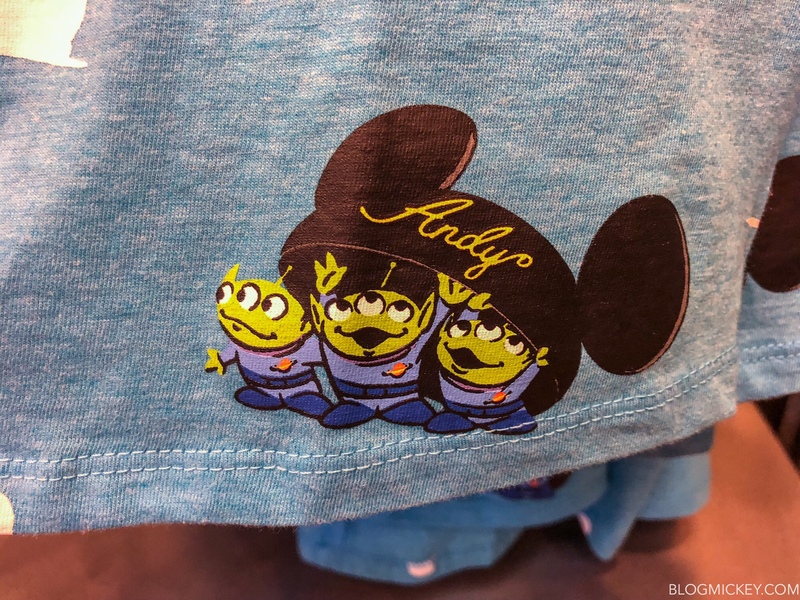 It features the Aliens catch phrase and has the lovable characters in the bottom of the tank. 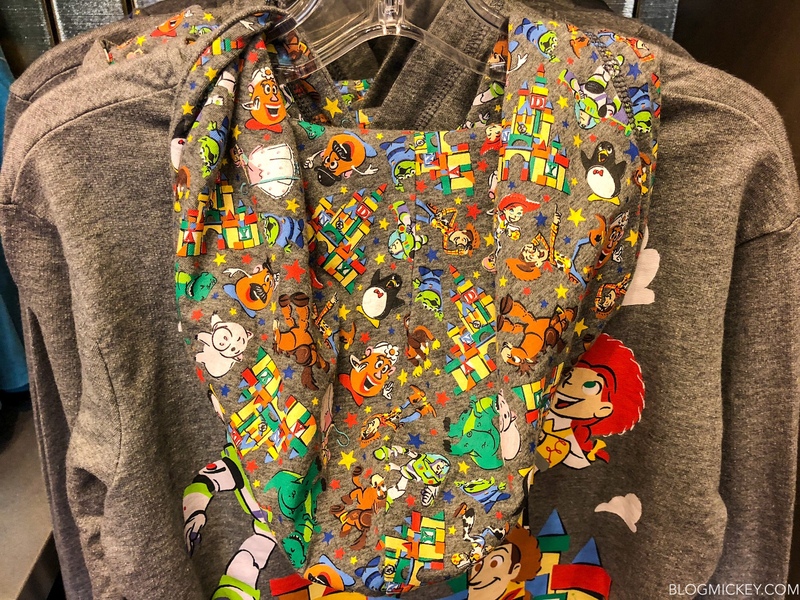 Next is the hooide which features the movie logo on the front and a toy block representation of Cinderella Castle on the back. 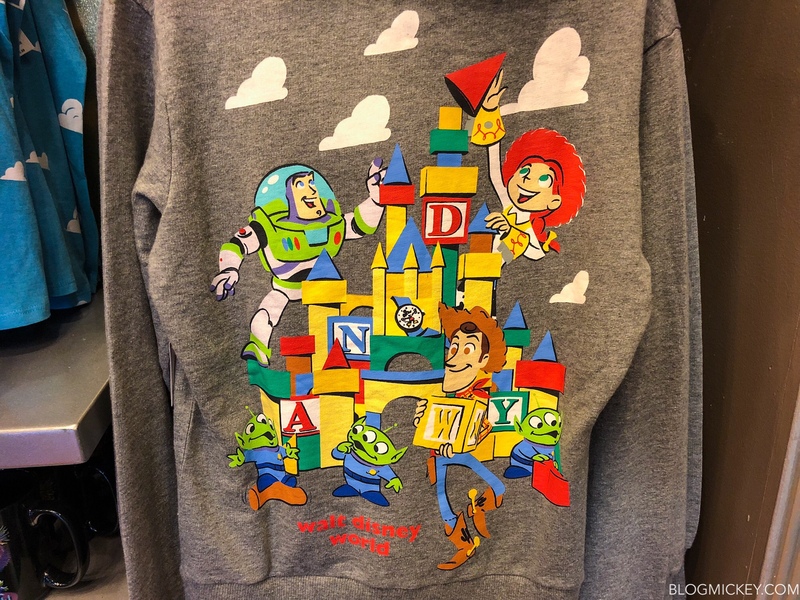 Inside of the hood you can find an assortment of Toy Story characters.